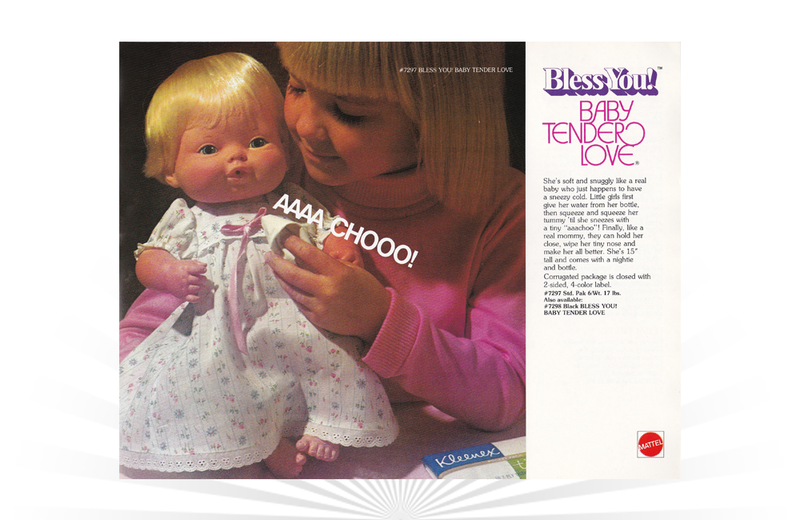 Introduced in 1975, Bless You! Baby Tender Love was one of Mattel’s popular Tender Love doll series. Like others in the series, Bless You! Baby Tender Love was made of dublon vinyl that gave the illusion of soft life-like skin. She was also personified with a cold, which children could activate by giving the doll a bottle of water, then squeezing her. This would emit a tiny “aachoo!” and a runny nose. Bless You! Baby Tender Love stood 15-inches tall and came with a nightie and bottle. Released in 1971 by Milton Bradley, Stay Alive is one of those strategy games whose name accurately sums up its overall objective.